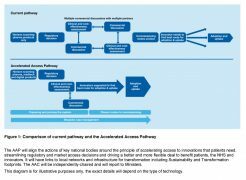 The UK is about to launch The Accelerated Access Collaborative: a new initiative aimed at speeding potential breakthroughs to market. Patent attorney Adrian Tombling looks at the scheme’s potential. 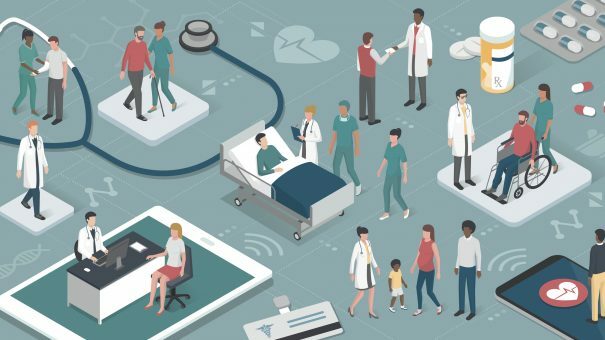 The UK’s National Health Service (NHS) is one of the world’s most admired health systems, but it is frequently slow in adopting new drugs and technologies. The UK Government is launching a new scheme, which it believes can address this lag. From April, five drugs or medical devices will be selected for a new fast-track process each year, ensuring their uptake on the NHS much sooner than would otherwise be possible. This accelerated pathway for new drugs and therapies could bring benefits for niche innovators, such as makers of digital health products. 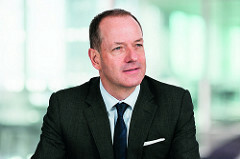 The Accelerated Access Collaborative (AAC) will have a very high profile chair – the former CEO of GlaxoSmithKline, Sir Andrew Witty. He will lead the ACC, and help co-ordinate government decision making on which new treatments should be selected for the new Accelerated Access Pathway (AAP). The products chosen will be given a ‘breakthrough’ designation, giving them the support needed to receive a fast-track route, meaning they could reach the market up to four years earlier. While the AAP does not aim to create a complicated new infrastructure, in the words of the Government’s plan published last November, it will “complement existing activity”. However, the accelerated process will only apply to NHS uptake, not regulatory approval. The lengthy process of securing regulatory approval and marketing authorisation via the European Medicines Agency (EMA) or the UK Medicines and Healthcare products Regulatory Agency (MHRA) will still be required for any new drugs or new uses of existing drugs – a process which requires the completion of clinical trials providing proof of efficacy and safety. The fast-track system aims to address concerns about the length of time it currently takes to bring new drugs and treatments to market – a process that can take 10 or more years. In addition, the NHS faces significant challenges in dealing with demographic changes, the pace of scientific advances and the evolution of technologies. Many high-profile cases have publicised the need for change in the current drug approval system, which has left patients fighting for drugs to keep themselves alive. Radio presenter Tony Wilson famously campaigned for Sutent, a kidney cancer drug, which he was refused by the NHS, to become widely available – a wish that was granted hours before his death in 2007. However the reality is that the new system is unlikely to significantly cut the length of time needed to bring new drugs and treatments to market. While this will be disappointing to pharmaceutical companies, the new initiative does hold more promise for companies producing digital products. The focus on digital products is significant, and could help smaller UK-based innovators to access the UK marketplace more quickly. The fast-track system could be especially useful in accelerating the introduction of new products involved in diagnostics, as well as devices that deliver benefits in patient care and improve quality of life. It is also hoped that the fast-track system could create a catalyst for wider change; streamlining the costly and protracted processes involved in bringing inventions to market. Innovators that might benefit from the system include companies working with relatively simple devices that have the capacity to provide significant patient benefit. For example, MBI Wales Ltd invented a device that lets patients know if their catheter is becoming blocked. Instead of waiting up to four years for NHS approval, the fast-track system could enable patients to benefit from such inventions much more quickly. By taking this action now, it is possible that the Government is flexing its muscles in this area and there could be potential to do more after Brexit. Following the EU’s decision to move the EMA to Amsterdam, the UK MHRA could take a more streamlined approach. While a balance would need to be struck in order to ensure safety, there may be scope to introduce a new process capable of delivering breakthrough products to patients more quickly. If the Government decides to take this approach, it could choose to emulate the US Food and Drug Administration (FDA) breakthrough therapy designation, which expedites the development and review of drugs for serious or life-threatening conditions. Taking this action could be a win-win for drug developers, medical device manufacturers and for patients. As one of the largest single healthcare systems in the world, the NHS is in a unique position to support UK-based technology and sponsor products that will benefit patients and improve their quality of life. The fast-track system is a valuable opportunity that will guarantee future collaboration between innovators in the sector and the NHS. It could also represent the first step to a more efficient, streamlined regulatory process. 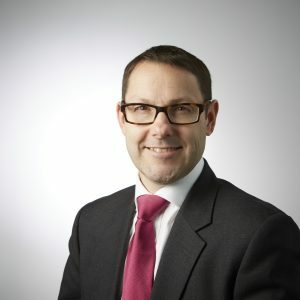 Adrian Tombling is partner and patent attorney at intellectual property firm, Withers & Rogers.